The photography with which we are most familiar is representational in nature. It is defined by its accuracy in depicting the scene, object, or person being photographed exactly as it represents itself. Photojournalists are but one example of those who practice representational photography. 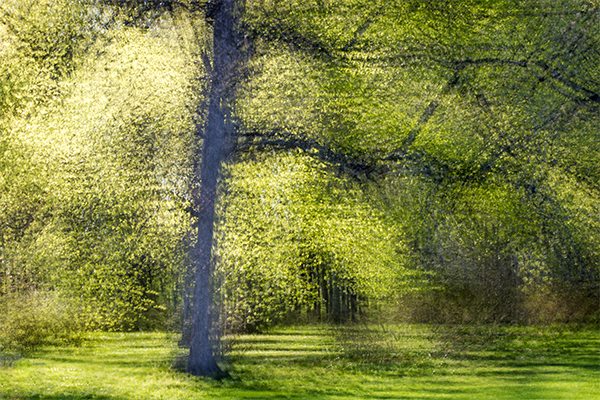 Impressionistic photography, an emerging style of photographing, seeks to convey the movement within the heart of the photographer- impressions, feelings, stirrings. Much like the impressionistic painters of the late nineteenth century, (Monet, Degas, Cezanne, Cassatt, et al. ), the photographer uses her/his camera to paint with light and color to convey inner feeling or emotion, often adding movement to not only what we see in the photograph, but also to the method of creating an image. 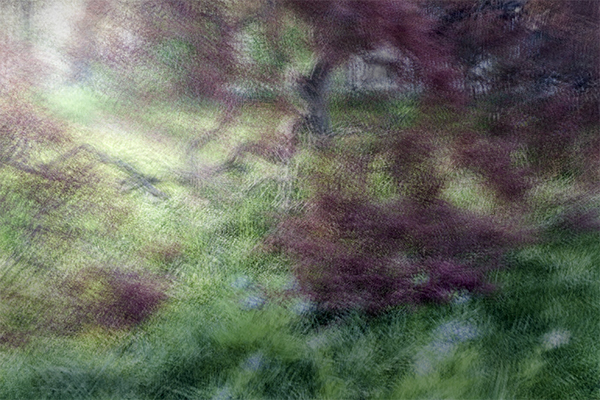 Recently I spent a week studying impressionistic photography and compositing images in Longwood Garden and Winterthur Gardens in the Philadelphia area with Charles Needle and Mark S. Johnson. I found it required of me a combination of technical know-how and dexterity, a scrutinizing eye, a heart open to continuous kneading and cultivation, the courage to risk, and the discipline to practice. If you have any interest is learning about impressionistic photography, read Charles Needle’s book “Impressionistic Photography: A field Guide to Using Your Camera as a Paintbrush.” And check out Mark S. Johnson’s workbench Photoshop tutorials on his website http://www.marksjohnsonphotography.com. Mark is an easy-to-understand, creative Photoshop guru. 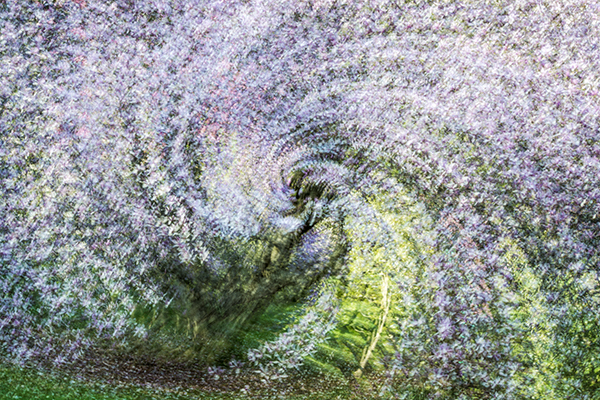 This entry was posted in Sharon Brown Christopher and tagged Camera movement, Impressionistic Photography, Nashville Photography, Nashville TN, SABChristopherPhotography, Tennessee on May 10, 2015 by sabchristopher. Loved your post! I really love the pink tree image. Longwood Gardens is a very pretty place. I was there a few fears ago in the Fall. How was the workshop with Charles and Mark? I took a few Macro classes with Charles when he lived in Atlanta. 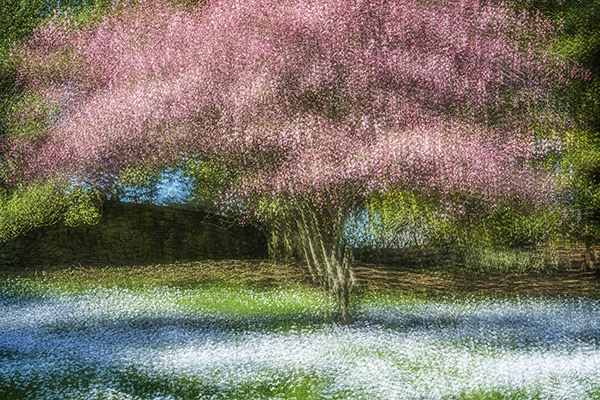 Did you learning any new impressionistic techniques besides the multiple exposures?? If so, would love to hear about them! Hope you are doing well! I am doing a talk on iPhoneography Thursday night at the Brentwood Camera Club. Would love to see you!